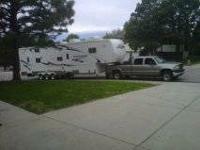 2005, 26 foot, model 26 FSAK, Eclipse "Attitude" Toy Hauler. 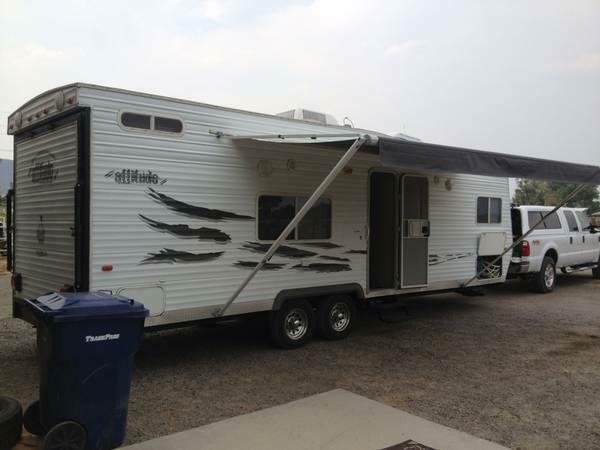 Fully self contained, on-board generator (216 total running hours), A/C, Furnace/Heater, sleeps 8, front queen size bedroom, rear queen size bed, sofa/bed, dinette table/bed, twin deep cell batteries, indoor and outdoor shower, toilet, microwave, freezer & fridge, AM/FM/CD indoor and outdoor speakers, large ramp with screen door (never used screen), new tires and a new spare, loaded with lots of options. 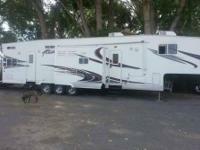 This toy hauler is in great condition. No leaks, all seams are solid. New roof max-air vent shells that cover the original vents. sofa and table fold up out of the way for toy storage. 106gallon water tank, dual propane tanks, 30 gallon fuel tank/pumping station. This is a really nice Toy Hauler, No mechanical problems and everything on-board works. 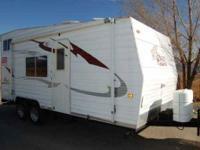 I have priced this toy hauler at a very fair price. Please no LOW ball offers. There are not a lot of Toy Haulers on the market that are as nice as mine for the price. 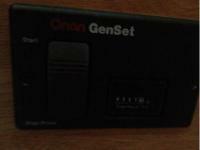 I originally priced this to sell at $9700, lowered to $8900 and have rejected four low ball offers below $8500. 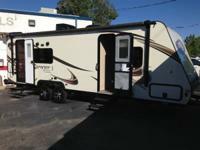 If you want a great Toy Hauler come see this one and make the right offer. Serious buyers please call me, leave a voice message if I do not answer. I will not reply to emails or txt messages any longer. Too many have been wasting my time. Load Leveling Weight Distribution Hitch System included with a full price offer. GVWR is 11,000lbs fully loaded with gear, water and fuel. I live in Centennial part of Aurora. My cross streets are Smoky Hill RD and Liverpool Rd, zip 80016. The camper is in storage about 12 miles from my house. Please call to set up a time to see it.